The hits just keep on coming. 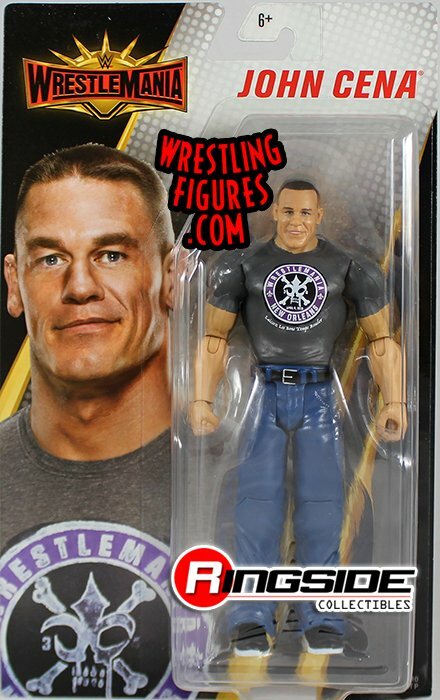 Although WrestleMania 35 is still a few months away from taking place, Mattel's annual set of action figures based on the event has just been released. The Elite figures for the WrestleMania 35series, which includes Sasha Banks, Scott Hall, Triple H, and The Undertaker, have been available for purchase for quite some time, but the basic and battle pack figures can be bought now as well. 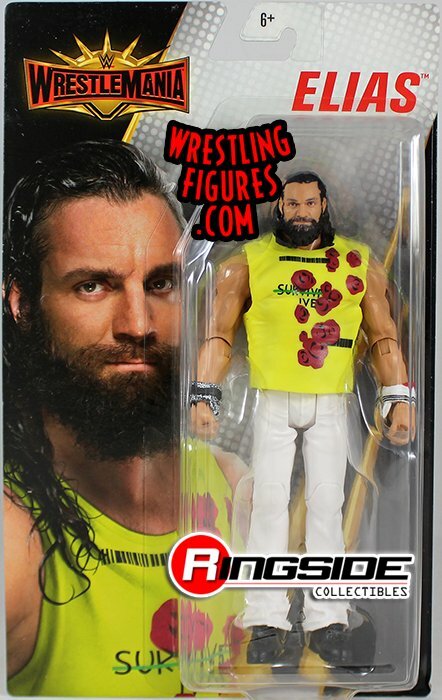 WrestleMania 35 basics - This series includes new figures of Elias, "Woken" Matt Hardy, Kevin Nash, John Cena, Charlotte Flair, and Trish Stratus. All six of these action figures are based off of an appearance at WrestleMania that the individual made. More information and details, photos, and ordering information for these figures can be checked out here . WrestleMania 35 Battle Packs - These include two WWE action figures who have gone at it at WWE's greatest show of the year. 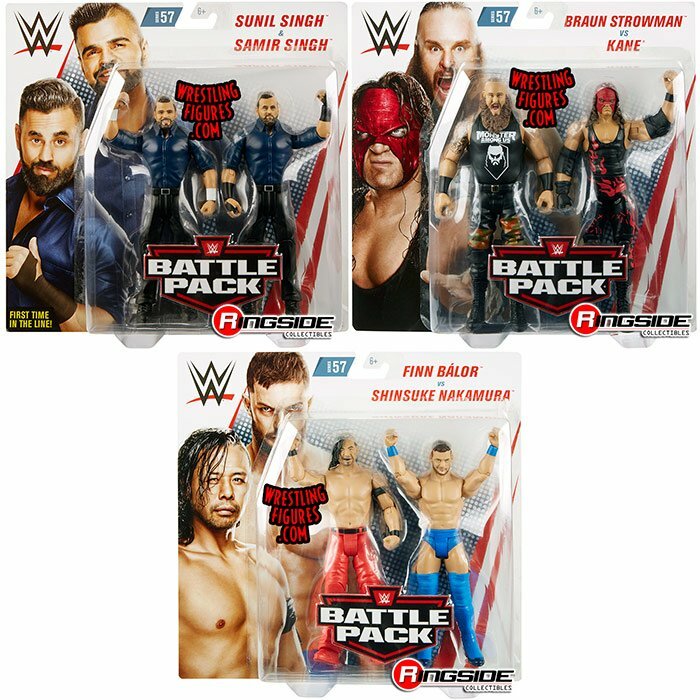 This year's Battle Packs include one featuring Shinsuke Nakamura & AJ Styles, as well as another with The Miz & Seth Rollins from WrestleMania 34 earlier this year. 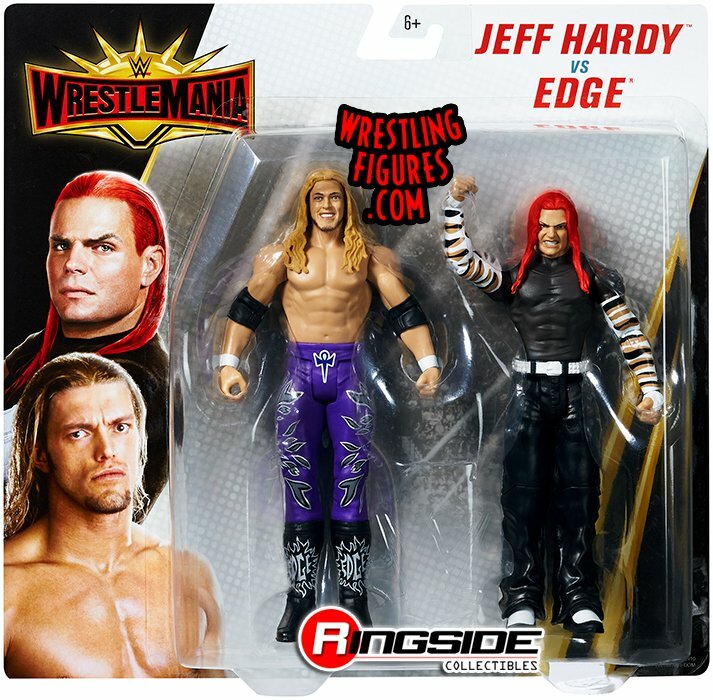 Also, a special "Flashback" Battle Pack of Edge and Jeff Hardy recreated from the TLC ladder match at WrestleMania X-Seven will be part of this series. 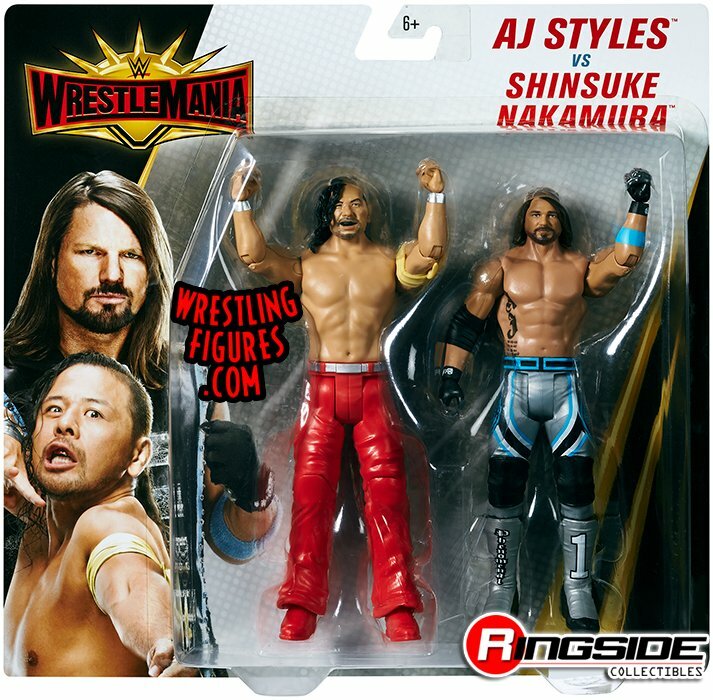 The WrestleMania 35 Battle Packs figures are made with basic articulation, and they are now be purchased in stores and through online retailers. 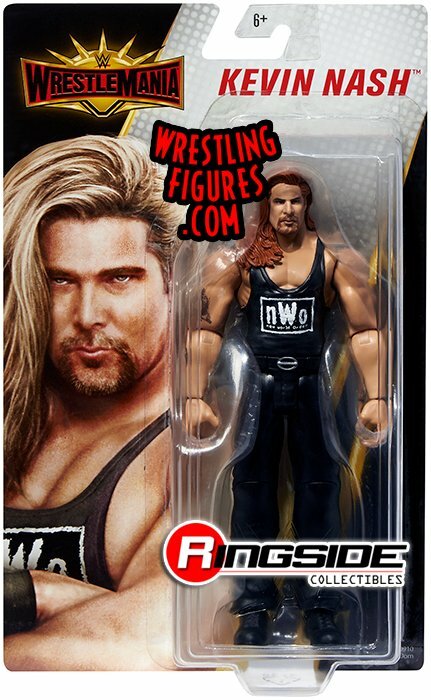 More on these action figures can be found at this link . In addition to the WrestleMania 35 Battle Packs that just came out recently, Mattel is set to launch their next set of main line Battle Packs figures very soon. Series 57 of Battle Packs are now available for pre-order, and as usual, three packs each including two figures will be released. Battle Packs 57 will feature Samir and Sunil Singh making their WWE action figure debuts. Additionally, Braun Strowman and Kane will be grouped together in a pack based off of their feud from earlier this year. Lastly, another pack will be featuring Shinsuke Nakamura and Finn Balor. Battle Packs 57 is slated to be released in mid-December, but all three of these new 2-packs can be pre-ordered right now by clicking right here. * The Shield Reunion 3-Pack Action Figures are Now Available! * The Undisputed Era 3-Pack Action Figures are Now Available!